I chose this as my Pick of the Week because I was surprised by how much I liked this issue. I think this book is starting to pick up steam. Hope had run off and everyone's been looking for her from the multiple signals she cast from Cerebra. This issue opens up with what looks like a giant polar bear, but is Logan dressed in the skin of a dead polar bear following the trail of frozen beer. Obviously Hope wants Logan to find her. She needs help. She needs to find a larger ship that will take her to the moon, closer to the approaching Phoenix force. Why she thought she could trust Logan is beyond me considering he's the one who wants to run her through like a shish kebab. 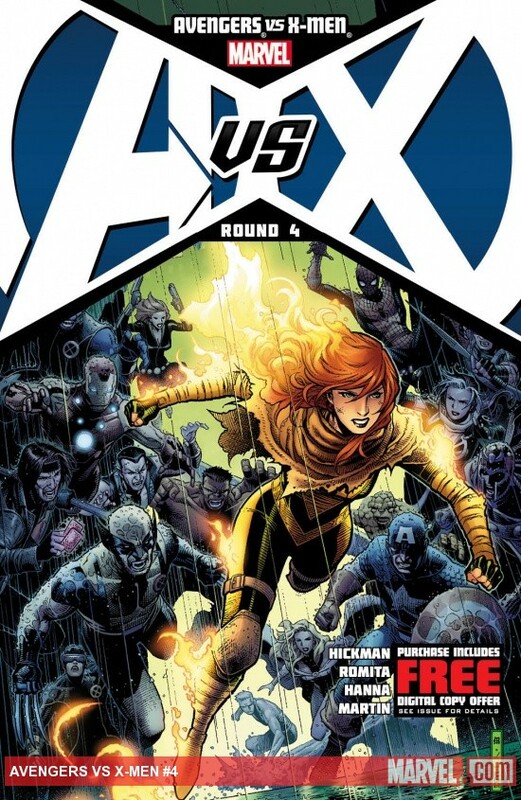 Logan betrays her but it's for naught as the Phoenix finally arrives. I'm not interested in the long, drawn out fights showcasing individual characters from each team. Some of them are cool but there's too many characters for that to continue and the story would get boring. Here, they've shown sub-divisions of the teams fighting one another at the various locations Hope is thought to be at. Hope's optimism for the Phoenix force comes across as a little naive. It's probably because of her age. We've yet to see what will happen now that the Phoenix has arrived. Hopefully the writers won't drag this story out too long as has been the case with other "big events." Fights get drawn out and the resolutions get rushed and suffer because of that. John Romita Jr.'s work is good. It's consistent. Now, the story gets really interesting and I'm looking forward to seeing what happens.